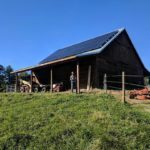 September 2018 | SolFarm Solar Co.
Green built housing, energy awareness, and conscious living are all very prevalent here in Asheville, NC which is why many of us choose to live here. 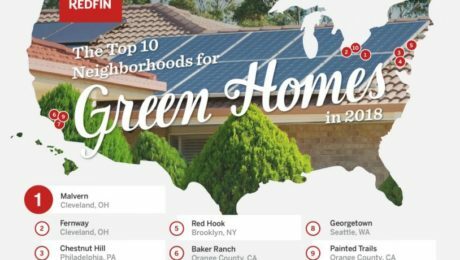 I wanted to explore other neighborhoods that had similar values and found the Clean Energy Authority’s top ten neighborhoods for green homes. Unexpectedly, three of the top ten neighborhoods were outside of Cleveland, OH. In these areas near Lake Erie, over 60% of the homes sold have green-built features. 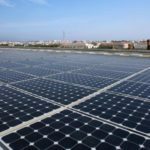 After a predominantly industrial past, this city has had implementations of reducing its carbon footprint since 2002, and even has a government funded climate change task force to promote change, awareness, and research. Moving down the list, two more neighborhoods that lead in sustainability are just outside of Philadelphia, PA. The city is planning on reducing its carbon emissions 80% by 2015. Plans have been implemented for creating bike lanes, storm water management, and exploring solar power already. Like the Ohio cities, many homes in this area are very old and people want to do everything they can to make their beautiful and historic neighborhoods efficient and earth-friendly in the coming years. Other top cities that made this list are in Orange County, CA, Brooklyn, NY, and Seattle, WA. Every neighborhood that made the cut has over 55% of homes built with green features and range from median home prices of just $212,250 to over $1,414,000- showing that green living is attainable not just for the elite. To read more, Click Here for details of the cities listed above. A June 2018 study released by the Union of Concerned Scientists, regarding chronic coastal flooding, projects that flood levels will rise drastically within the next 30 years directly caused by rising sea levels due to increasing carbon emissions. Already many areas are seeing routine coastal flooding that did not used to occur as recently as 1970. Although this has been an inconvenience, it has not become a major problem… yet. 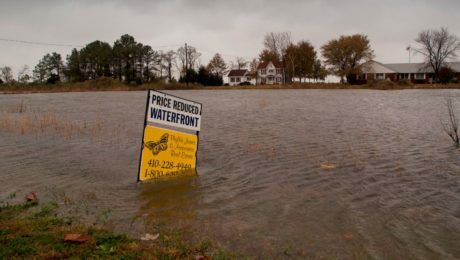 According to this study, by 2045 over 300,000 homes valuing roughly $117.5 billion dollars are at risk of constant flooding. These homes provide shelter for about 550,000 people and provide the country with nearly $1.5 billion a year in property tax revenue. In addition, there are 14,000 commercial properties valued at $18.5 billion that would be affected. If these projections of chronic flooding aren’t correct, these homes will lose much of their value, become difficult to insure, and eventually be unlivable altogether. This huge change would create regional marketing crises, as well as negatively impact local real estate investors and bankers. Although the effects climate change will have on our society are scary, it is important that we are staying diligently aware so that we can make changes, within our power, to slow the process. 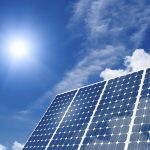 Clean energy is a huge factor in reducing carbon emissions and can easily be done on an individual level. 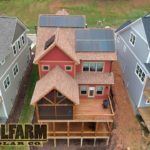 Average residential homes powered with a solar system will prevent 5,760 pounds of carbon dioxide pollution a year from entering the atmosphere. 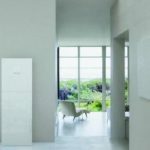 Making sure we are using energy efficient appliances and vehicles are other steps we can personally take to slow the rapid effects of climate change. To see specific data about flooding projections you can view this interactive map.